“This is one of the most important areas of our life and I don’t know who to hire. Frankly, I don’t even know what I should be looking for. Can you help me?” lamented Dr. Roth, a successful physician, after one of my recent seminars. As you might imagine, he is not the first to ask me that question. You may be asking the same question. Having made presentations to over fifteen thousand people over the last quarter of a century, here are some of my thoughts. As we stressed, in this complex area, you need to work with a retirement planning professional. A professional who focuses on you works exclusively with people just like you and is prominent in his field. The best way to determine someone’s focus is to spend some time with them. “I barely had time to speak,” complained Ann, a retired woman on her own, who attempted to interview an advisor to determine if they were a professional. That’s a real tipoff that you’re not with a true professional: they do more than 10 percent of the talking when you first get there. When they do talk, are they helping you think about your dreams and concerns… or are they talking about what they do? That’s the second tipoff. The first job of a true retirement planning professional is to help you determine what’s most important to you and what’s most urgent. Lastly, do you understand them … do they speak in plain English or techno-talk? 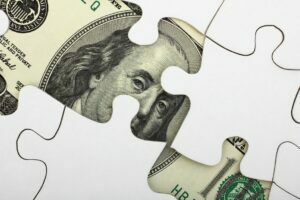 Once you have accumulated more than $1 Million, you are in the top three percent of wealth holders in the United States. Your issues are unique. You need an advisor that serves others like you – exclusively. Do they spend 100 percent of their time, effort and education on advanced wealth preservation for people like you? You need to ask the advisor a few questions: What is your professional specialty? What percentage of your clients have over $1 Million? “In my profession, it was clear who the true financial professionals were. I was a generalist before I retired. That’s back when you could be one. You can’t do that anymore. It’s way too complex,” shared Mr. Wurman, an attorney. Every profession knows its prominent professionals. Prominent individuals can often be identified as those who are published in their field and on well-known websites. Here are a few good questions: Where have your articles been published? Any books? Do you have credentials? Warren Buffet said his advisors must be someone he can trust implicitly; someone who is at the top of their game professionally; and someone he enjoys spending time with. To me, that’s another way to say: professional … an advisor who focuses on you, works exclusively with people just like you and is prominent in his field. Craig Kirsner, MBA, is a nationally-recognized author, speaker, and retirement planner. 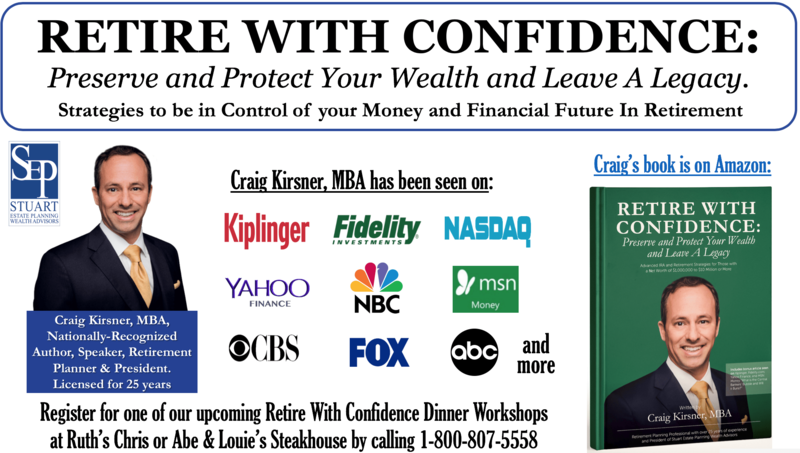 You can reach his team at 1-800-807-5558 to attend an upcoming advanced IRA and retirement dinner workshop at Ruth’s Chris or Abe & Louie’s Steakhouse in Boca Raton or Fort Lauderdale.